Melanoma is a kind of skin carcinoma that originates from melanocytic cells which also give our skin color. When a melanocytic cell gets damaged, it looses it’s ability to control it’s growth, and melanoma formation begins. Melanoma can develop on any region of the body, it’s more common on the legs in women, and more common on the back in men. Melanoma is almost always curable when it’s found in its very early stages. Although melanoma accounts for only a small percentage of skin cancers, it’s much more likely to grow and spread to other parts of the body, where it can be hard to treat. 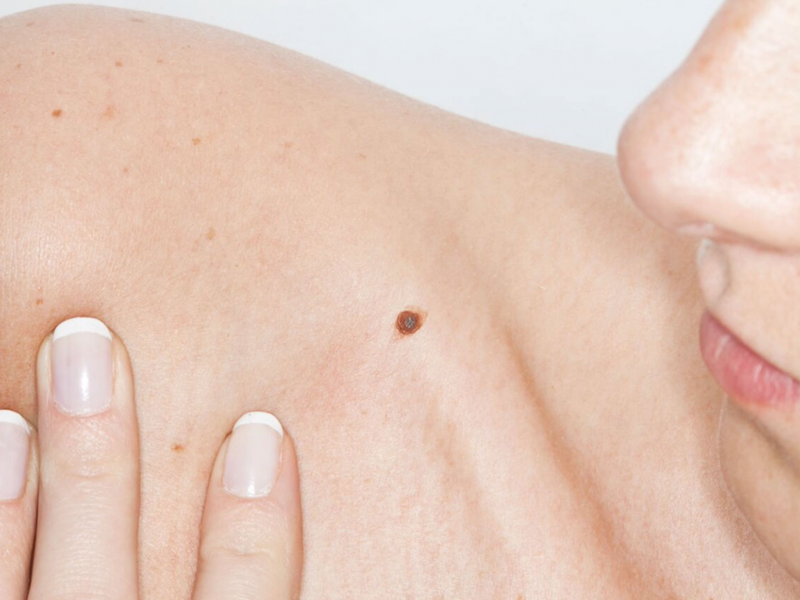 Moles, brown spots and growths on the skin are usually harmless — but not always. The first signs can appear in one or more atypical moles. That’s why it’s so important to get to know your skin very well and to recognize any changes in the moles on your body. 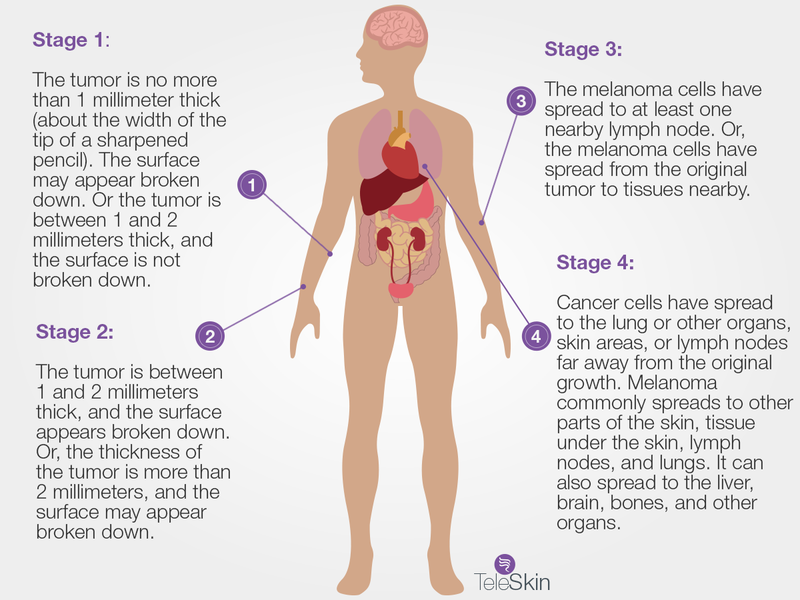 There are 4 stages of melanoma. The stage of a melanoma describes how deeply it has grown into the skin, and whether it has spread.